serve the K9s who protect & serve. Are You A K9 Corps Member? K9s United is dedicated to providing the necessary equipment and training K9 law enforcement officers need in order to protect communities across the country, as well as memorializing those who give the ultimate sacrifice in the line of duty. 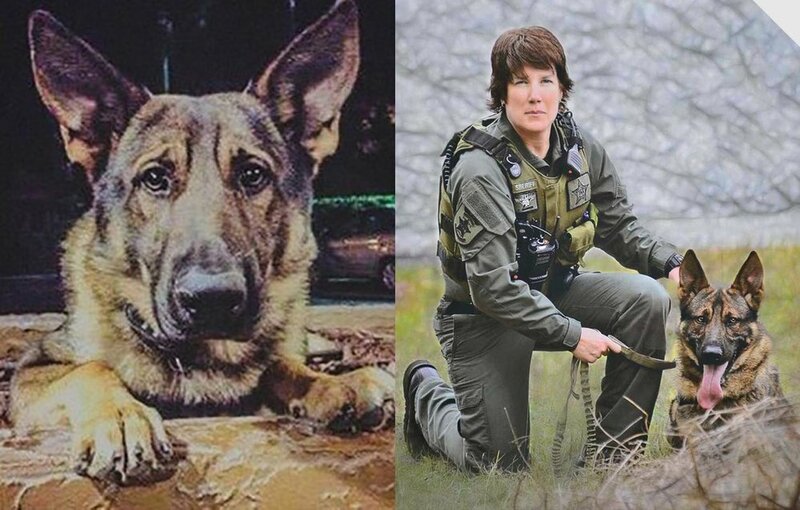 K9s United was founded in 2015 after founder Debbie Johnson heard of the tragic death of Baron—a K9 officer, killed in service in St. John’s County, Florida. Every police officer should have what they need to serve, protect and thrive—no one can argue with that. But some of our best officers don’t have everything they need. Some of our fastest officers aren’t protected by the best equipment. Some of our most dedicated officers aren’t given the best tools. And these officers can’t speak up. These officers can’t ask for more. These officers can’t tell us exactly what they need. These officers are K-9 officers. And they deserve our support. So, at K9s United we join forces with local law enforcement agencies. To speak up for them. To provide them the equipment they need. To give them the tools to survive in the field and thrive in life.. We are their voice. We are their partners. And together we unite to support our K-9 heroes. We are K-9s United. When we learn of a K9s "end of watch," one of the first things we do is reach out to the K9 Unit associated with the K9 and offer our condolences. Through a partnered artist, we will have a sketch rendering of the K9 commissioned, offer a portrait of the K9 to the handler or Unit, and then place the K9 on our Tribute Wall to be honored and never forgotten.